These stylish, air-conditioned apartments are furnished to an exceptional standard with a contemporary style. They include everything you need to feel at home. Located in southern Cyprus, Pyla is an ideal retreat for those who enjoy peace and tranquility away from the crowds, yet it is close enough for those who wish to venture into the busier resort of Larnaca. Larnaca International Airport is only 15 minutes away. The luxury fitted kitchens include a fridge/freezer, washing machine, oven, hob and microwave. They are fully supplied with cookware, crockery, cutlery and utensils. The apartment has a colour television with DVD player and satellite TV. The living area has ceiling fans to compliment the air conditioning and help make the ambiance 'just right'. The bathroom is equipped with a power shower and all linen is provided, as are towels and tea-towels (but please bring your own pool towels). In the open plan living area are 2 double sofa-beds. The master bedroom has a double bed with bedside cabinets and a large built-in wardrobe providing ample storage space. There are both indoor and outdoor dining areas with seating for 4-6 people. The moment we arrived in Pyla we immediately fell in love with the Village. It is unique, historic, frendly and peaceful. There is no better way to unwind than sitting in the Village Square and watching the world go by , enjoying a special Cypriot Sandwich.Our apartment is walking distance from the Village Square and a 5 minute drive to the beach so you can experience the best of all worlds. The view from the private sun terrace is of the Mountains and the perfect setting in which to relax. We have created a modern,Home from Home feeling and ensured that the Apartment is fully equipped. We redecorate every year and replace essential items to ensure a clean, fresh feeling. Bath with shower over. Sink.Toilet. Large cupboard for towels and toiletries.Modern design.Baby bath available if required. Both indoor and outdoor dining areas to seat 6 + Wooden table and chairs inside. Rattan table and chairs outside. Wide range of movies to suit all ages. Numerous board games to suit all ages. Private terrace with 2 x wooden sun loungers and large table and seating for 6 people. Tennis rackets (various sizes) and balls supplied. Tennis court free to use.Floodlit at night when it's cooler. Wide doors to apartment block and apartment. Disabled toilet facilities in swimming pool area. We have had a couple of wheelchair users stay with us. We regularly run special offers during off peak seasons so please ask. In addition we will fully consider any reasonable offer if we have availability.For bookings longer than 3 weeks again please ask us for a special rate.We can organise additional cleaning during your stay if you require for a small extra charge. Please ask for details. There is a Management Company who look after the Complex and they are available 24 hours and are more than happy to help if you encounter any difficulties. Really nice. Fully equipped, great pool very close to apartment. Thank you so very much for your feedback and we are so pleased that you and your family had a wonderful time. We are also delighted that you found the apartment spacious and well equipped. The pool is fabulous I agree! Safe for children, with plenty of sunbeds and umbrellas and toilets.We have spent many happy hours at the pool relaxing with a book, that is when I can tear myself away from the apartment terrace! It is in a very good location! 5 min from the highway that takes you everywhere ! I absolutely agree Pyla is the perfect base for exploring the whole Island! The nearby motorway is easy and not very busy. I am delighted you had a great holiday and very much appreciate your feedback. I have informed Richard about the air con units and he has dealt with it immediately. I look forward to welcoming you and your family again in the future. 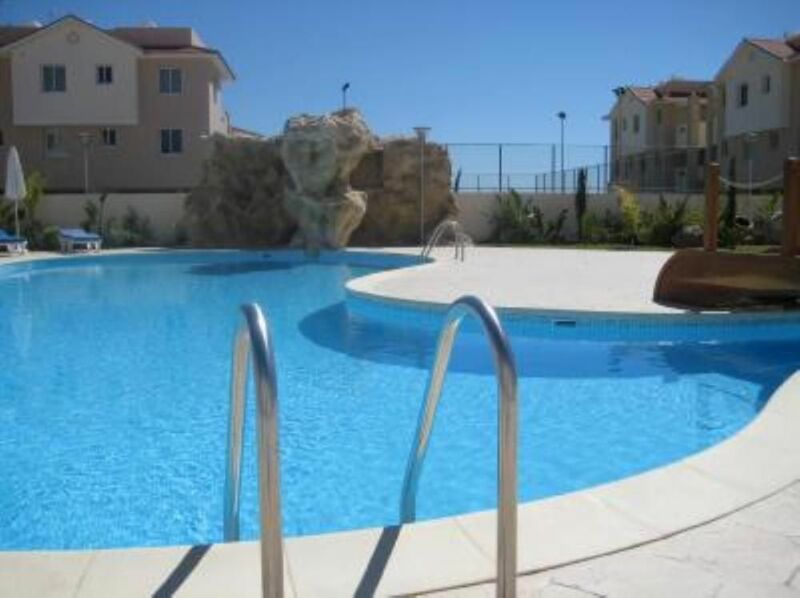 Beautiful apartment with lovely swimming pool and with local amenities a short walk away. We are absolutely delighted you love our apartment and the facilities as much as we do. Thank you so much for your feedback. It really is appreciated. Please keep in touch and we would love to welcome you again. Very nice and big apartment with a fantastic terrace and a big swimming pool.The house is inside a residential complex very quiet. Everything is perfect but there are 30km from the best beaches of Aya Napa. We are thrilled that you loved our apartment and found it spacious. The terrace is certainly a delight in the morning for breakfast and in the evening for watching the sun go down. The pool also like you say is large and has toilets and plenty of sunbeds. To be honest we don't venture into Ayia Napa often, preferring the swimming pool or nearby Cessac Beach (superb fish and chips) or Pyla Beach which is 7 minutes away. This beach has been awarded blue flag status and offers a complete day out for all the family. The sands are fine grey and the sea is clean, calm and shallow, making the beach safe for small children. Facilities include toilets, showers, changing rooms, sun beds, umbrellas, a children’s playground, and a lovely cafe. Parking is easy and free! Cyprus has so many wonderful beaches and Pyla is the perfect base for exploring so do come back and find some more favourites! Thoroughly enjoyed the apartment, it's environment and the general location. Thank you so very much for your feedback and we are delighted that you enjoyed our apartment and Pyla Village. It was our absolute pleasure to host you and we would be very pleased to welcome you back again. The apartment was spacious, comfortable and spotlessly clean. The village of Pyla was a great base for our first visit to Cyprus and we will definitely be returning. Thank you Deborah! I am absolutely thrilled that your first experience of Cyprus and our apartment was a great one. We love our apartment and I am really pleased to hear that you found it spacious, comfortable and spotlessly clean! There are so many wonderful places to see in Cyprus and I agree Pyla Village is well positioned as a base for seeing the whole Island. I look forward to welcoming you again and please stay in touch. kind regards Deborah. From Larnaca International Airport approximately a 15 minutes drive via the motorway. comprehensive (easy to follow)directions supplied upon booking. Downpayment / Deposit requested. Discount depending on length of stay. Owner not present on location but cleaners amd Property Management Company present on site and on call. Rate depending on the number of persons. Full clean on arrival included.